Poet and theologian; flourished in the thirteenth and fourteenth centuries; probably a native of Spain, where the surname of "Zabara" was borne by several scholars. He was the pupil of Aaron ha-Levi (d. 1293-94) and of Meïr Abulafia, and seems to have resided a certain time at Montpellier. 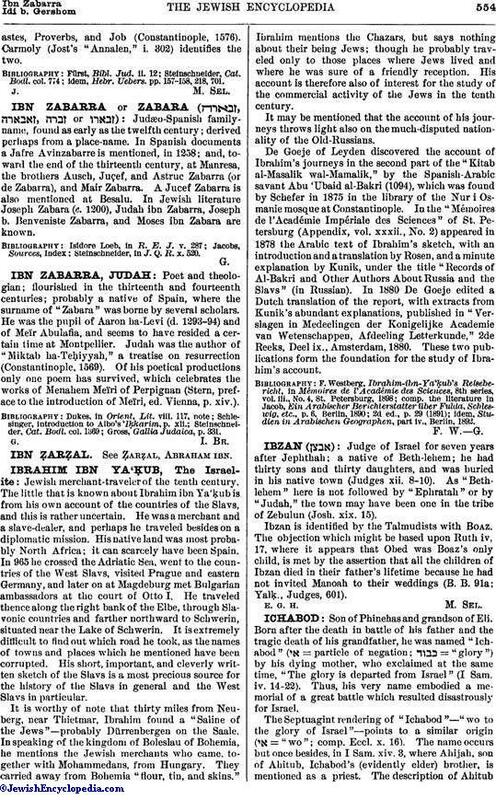 Judah was the author of "Miktab ha-Teḥiyyah," a treatise on resurrection (Constantinople, 1569). Of his poetical productions only one poem has survived, which celebrates the works of Menahem Meïri of Perpignan (Stern, preface to the introduction of Meïri, ed. Vienna, p. xiv.). Gross, Gallia Judaica, p. 331.